One size does not fit all and that’s why our philosophy is to design and build expertly engineered data centre solutions that fulfil individual requirements. We take care to integrate sustainable and energy efficient technology to assist you in reducing your carbon footprint through the application of our EcoDesignTM solution throughout your data centre design and build project. 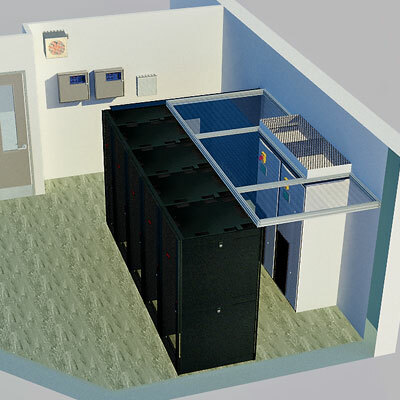 We take the time to understand key elements of the site on which your data centre infrastructure will be built upon and the physical building environment. This ensures that our Construction processes are adequate whilst complying with applicable building and planning approval regulations. Maintaining the correct temperature within your data centre is of paramount importance, therefore we offer a wide range of data cente Cooling technology. Effective and energy efficient, all our cooling products have been selected from reputable suppliers including our own, award-winning Freecool Evaporative Free Air Cooling and Flexaisle aisle containing system. We also supply a wide range of data centre Fire Suppression solutions designed to detect and extinguish a fire in a controlled environment ensuring that the effect on your business operations is kept to a minimum. Our range of Technical services include; structured cabling, equipment racks and PDUs, wire ways, security & access control. When it comes to ensuring that you don’t experience any unplanned downtime we supply a comprehensive range of Electrical Infrastructure including; power generation solutions, UPS systems, and generator systems to maintain your critical physical infrastructure. Finally, the management and monitoring of your data centre is of paramount importance, however it is not always possible for this to be carried out in-house. Workspace Technology offers a range of Management & Monitoring services to assist in ensuring continued availability and performance during the lifecycle of your data centre or server room environment. Contact us to find out how our data centre design and build solutions will provide you with the competitive edge to succeed in business.